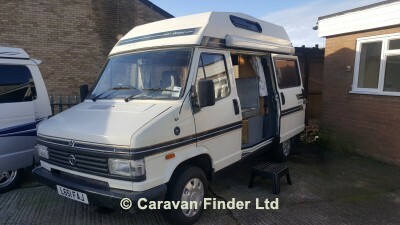 This 1993 Talbot is perfect for those just taking up motorhoming as they do not get much cheaper than this! It is in lovely condition for its age, and it even comes with a Fiamma wind out awning/canopy. At Â£6,995 it will not be on our forecourt for long, book an appointment to view it today, a small deposit secures this lovely panel van for you. The Harmony will come complete with a full habitation service, 12 months MOT and a full valet. Beez Leisure is a family business with over 20 years caravanning experience, new to Norfolk and the East of England and proud to offer a level of service never seen before within the leisure industry.